Today I’ll be reviewing a mascara that I have been using quite often these days. 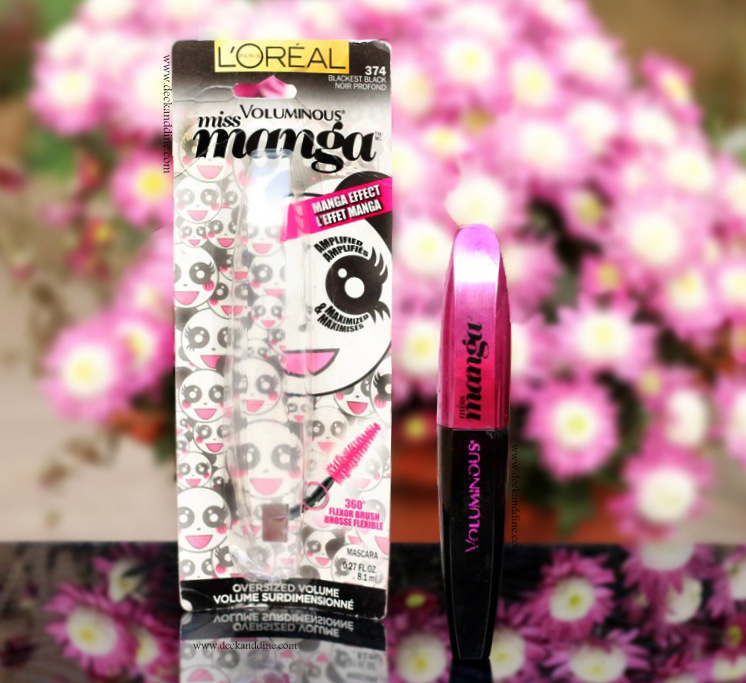 It is L’Oreal Paris Voluminous Miss Manga Mascara. For me, a good mascara is basically the holy grail of all make-up products. It's the one thing I'll wear on days where I really don’t feel like wearing any makeup at all. L’Oreal is known for their amazing range of mascaras with fabulous formulations. I have tried many and this is my newest addition. So lets see if this one, like it’s other L’Oreal sisters, could impress me or not! 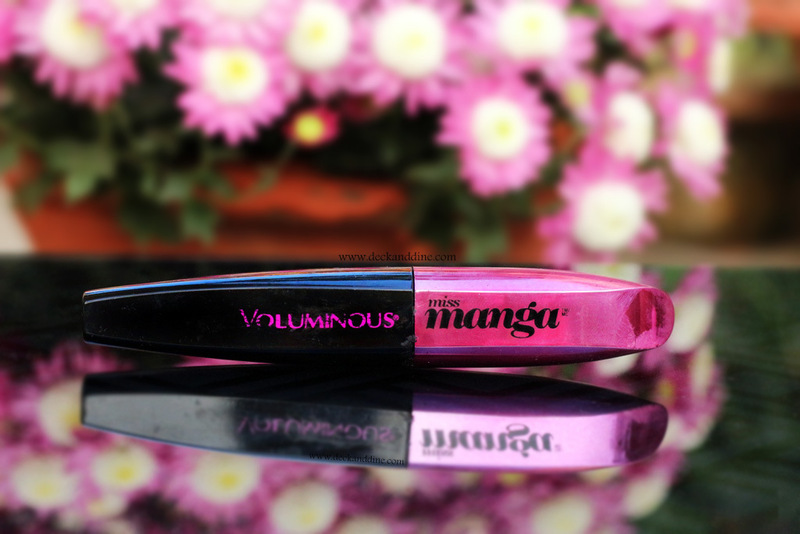 A no-fuss black tube with a pink metallic cap which comes housed in a normal mascara . The brush is a flexible one with a conical shape, making it easier to cover those hard to reach lashes. 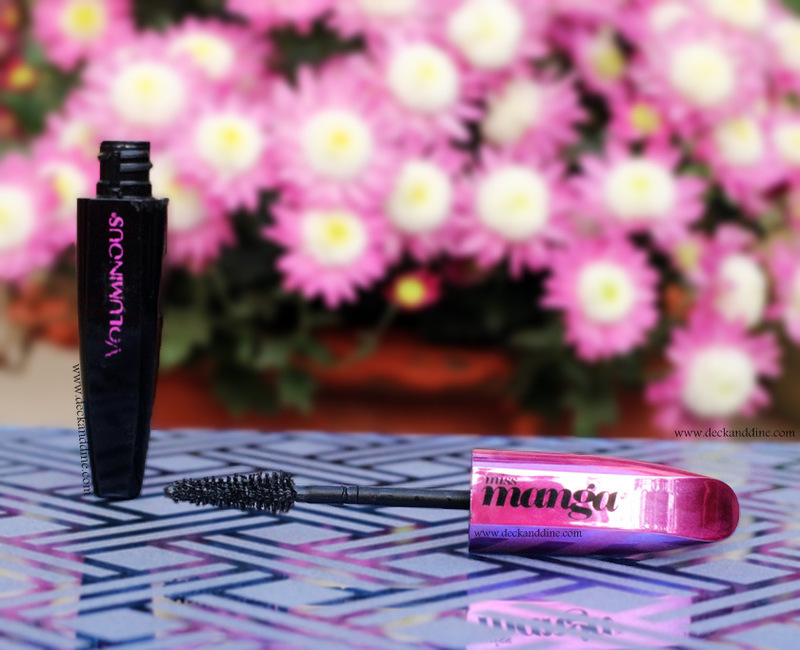 I love my mascara jet black and wet; Miss Manga scores a 10/10 if you take these two factors in account. I have picked “Blackest Black” and the color is truly the blackest of blacks. The consistency is pretty good, more on the wetter side, just the way I love. The flexible wand makes it easy to wriggle and the mascara grabs, lengthens and volumizes the lashes beautifully. So what I do is, carefully put the right amount, wiggle and comb through a bit, wait for a few seconds to let the thing dry, comb through with a clean brush and then go back and repeat gently; that’s how you can get the best out of this mascara. It won’t clump that way. 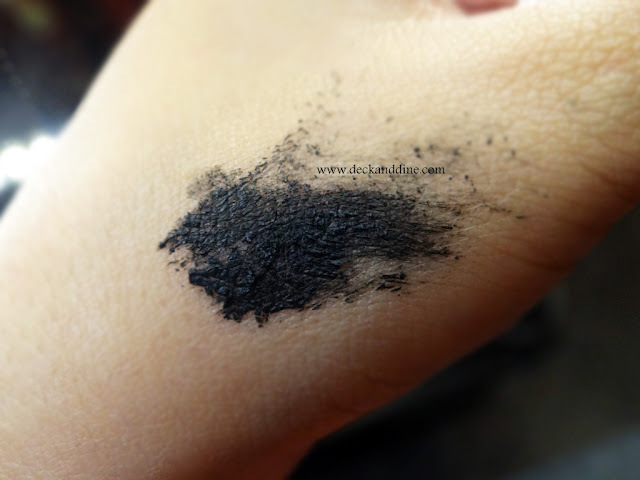 But this process takes time so this mascara is not good for layering when you are in rush. I wore this for 14 hours at a stretch, and I didn’t face any smudging or flaking problems, it held the curl pretty well too. The formula is semi-waterproof, so it washes off easily with the help of regular face wash/cleansers. No need to soak your lashes in makeup remover or oil at the end of day, no need of rubbing and harming your lashes. Flexible wand helps in wiggling. The wand and bristles don’t help in separating the lashes well. 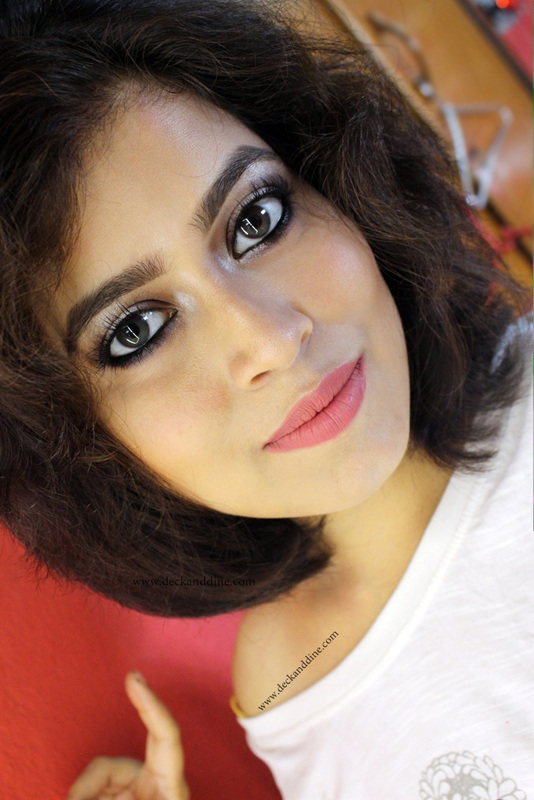 I love how this mascara lifts, curls while adding amazing volume and length in just a few swipes. But hate how lashes stick together when I start layering and it becomes too hard to separate. To avoid the clump, you have to be really patient. Thus It is definitely not one to use on the go or if you're in a rush. But if you wear it properly, you will love the drama. I love it when it doesn't create spider legs, absolutely amazing. The wand is tricky, but once you get the hang of it, you won’t have a problem. What I like most is how easily it comes off with a simple cleanser without any struggle. You got great results in 3 coats. The flexible bristled wand isn't for me, but I really appreciate your review so I could get a sense of what it's like and whether it would work for me. I'm still a big fan of the Voluminous Butterfly Intenza that was introduced 2 or 3 years ago. I like the plastic bristle wands for my wonky lashes. Results look fabulous; but Im typically in a hurry and hate clumps so I will probably skip it. I've never used this mascara or anything with a flexible brush. I have a feeling that I would poke my eye with it. 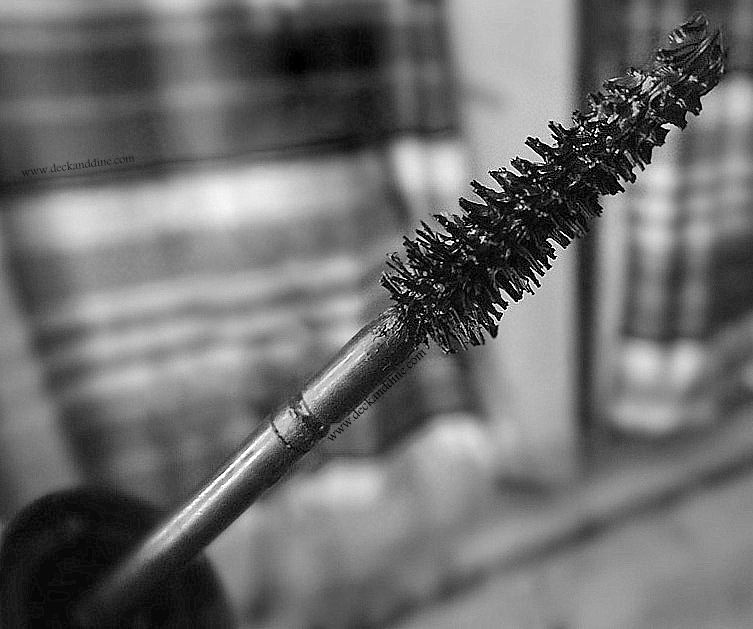 This mascara looks great on you, your lashes look great. I could not get it to work for me! 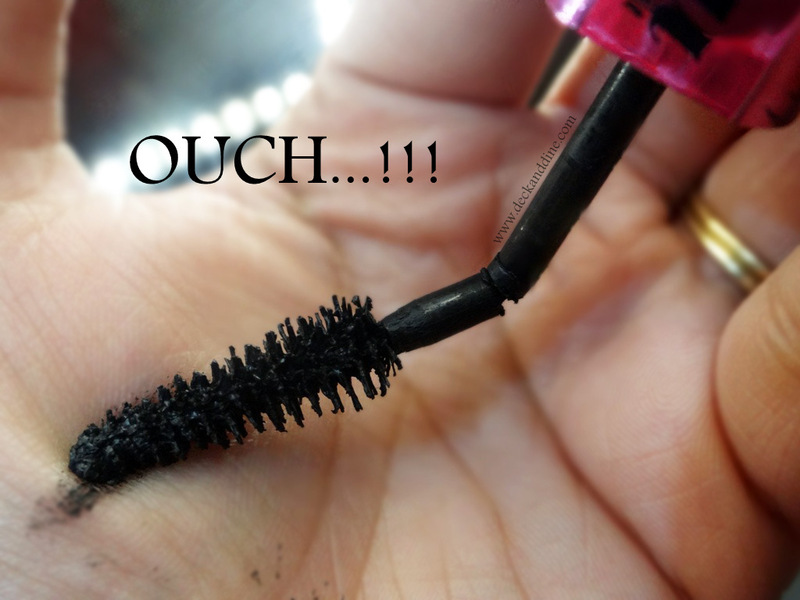 I have thin lashes that clump very easy so I think I will avoid this one! I looks great in 3 coats but I mean it looks like you just have amazing lashes! Your natural lashes look fabulous! This looks great on you, it clumped on me. I didn't know they still sold this mascara! Looks like a great mascara! I like my lashes black and thick! I'm always looking for a mascara that doesn't flake - I haven't tried anything by Loreal but I'm always interested! 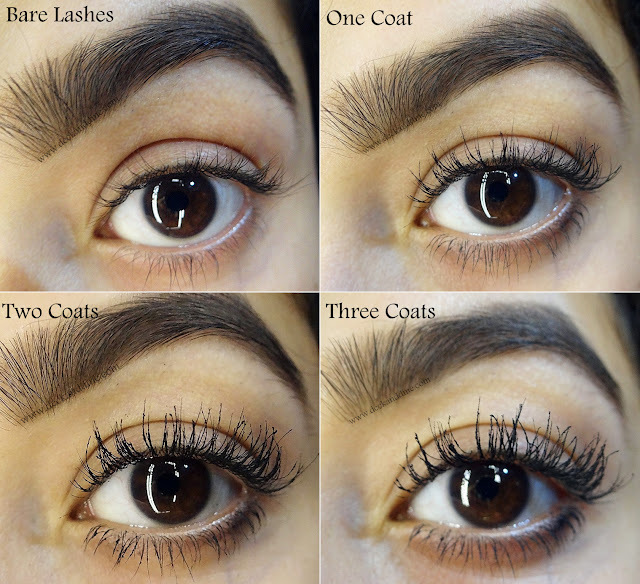 Thanks for posting this, I can really see the difference with this mascara, I don't layer too much. But I do appreciate the information about the wand and the task it is to layer. You have great lashes! I haven't tried this mascara, but it might layer better as you continue to use it and it's not so wet.